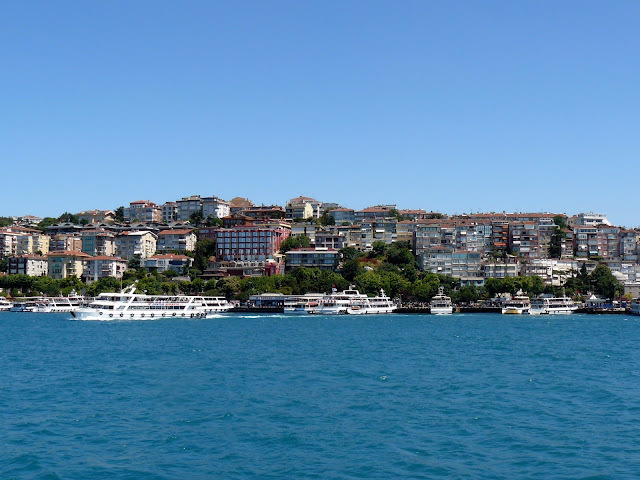 Uniquely Strait of Bosphorus , which divides Europe and Asia, Istanbul is a fusion of the cultures of East and West. 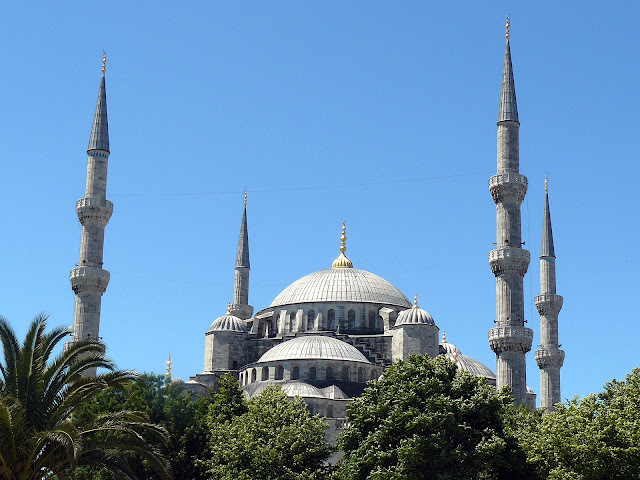 Distinguished by its ancient history and fascinating Istanbul holds authentic jewels of the past, magnificent mosques, palaces by a thousand and one nights, frenetic markets and seductive. 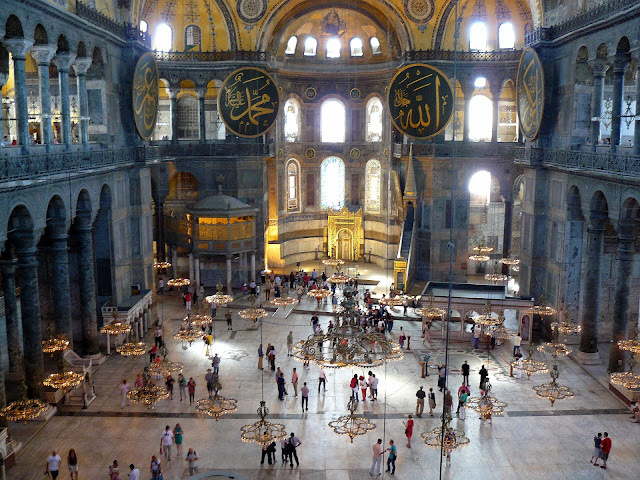 Istanbul is a metropolis on the move and expansion, in a precarious balance between modernity and respect for its unique history. 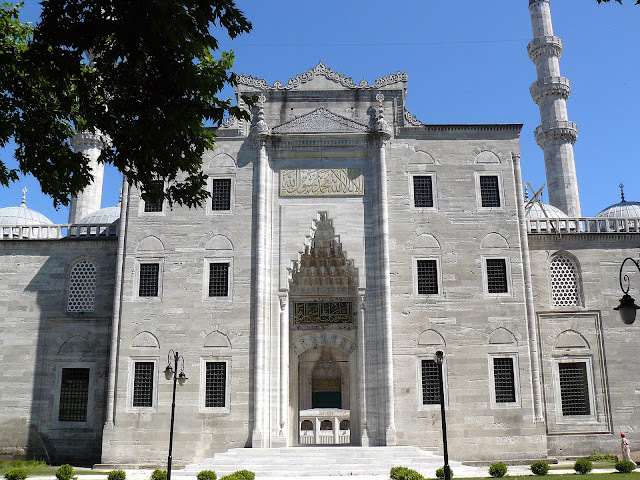 The most imposing religious building in Istanbul has been transformed into a museum in 1935. 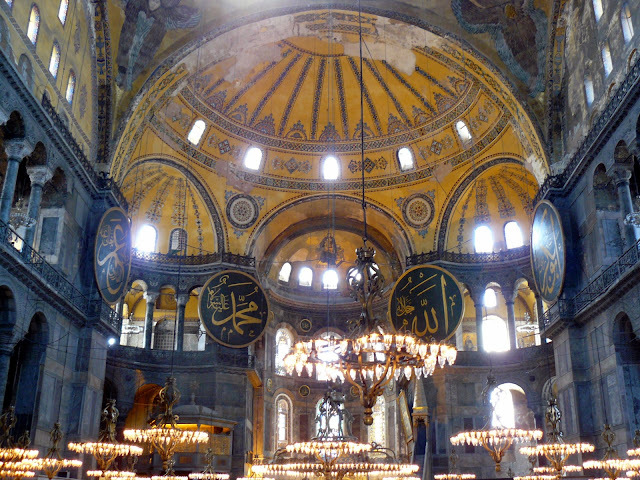 Completed in 527 by order of Justinian, Hagia Sophia was the largest church in the world until, in 1453, Sultan Mehmet the Conqueror turned it into a mosque. 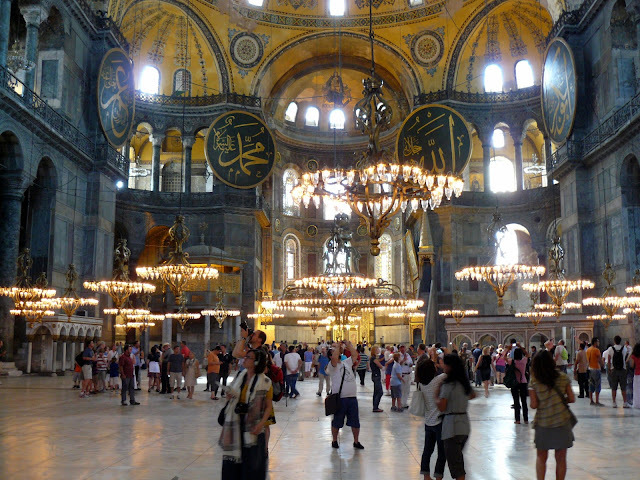 The interior leaves visitors breathless for the majesty of the dome, the beauty of the famous mosaics and the refinement of the vaulted ceiling. 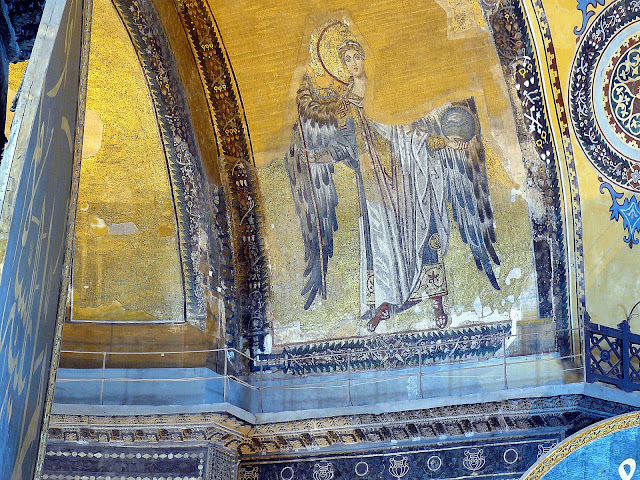 Climbing the staircase leads to the galleries on the upper floor where you can admire the most precious mosaics, such as The Madonna and Child with the Deisis. 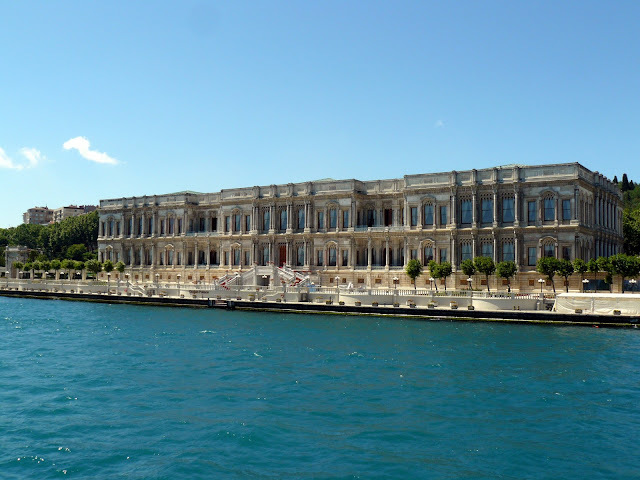 The historic residence of the sultans is a wonderful palace built by Mehmet the Conqueror after the Ottoman conquest in 1453. 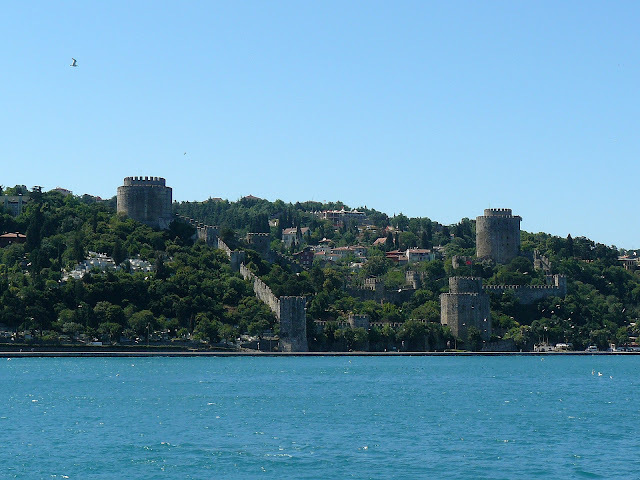 The opulent rooms, beautiful views of the Bosphorus, the priceless treasures held by Topkapi catch every day thousands of visitors. 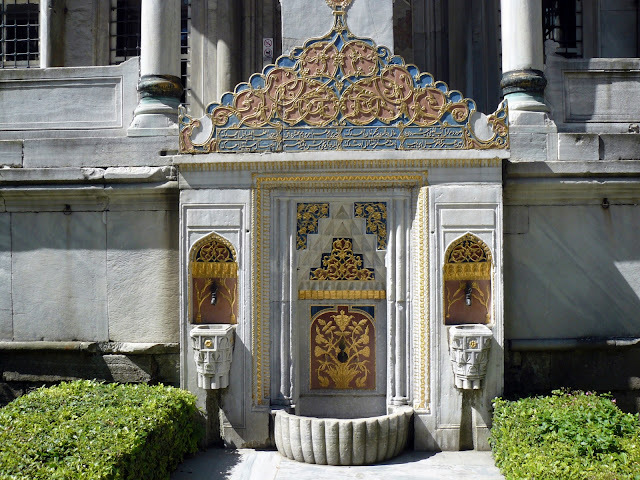 Leads to the building of the first court through the Imperial Gate , then moves to the second courtyard where the refined Harem which includes the private apartments of the sultan. 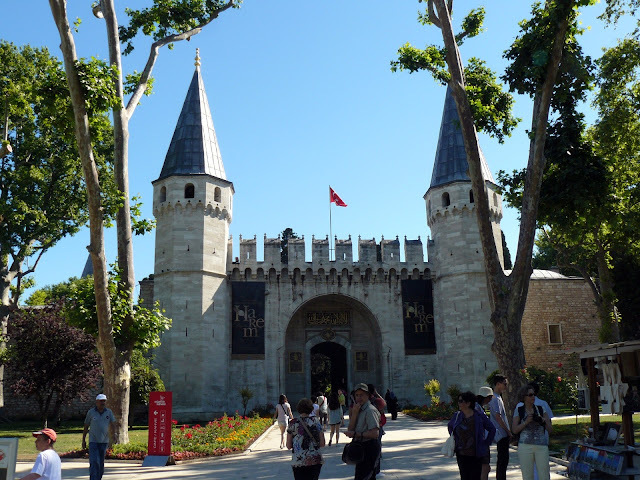 Through the Gate of Felicity leads to the third courtyard where you can visit the Library of Ahmet III and the Treasury with the famous dagger of Topkapi and the diamond of 86 carats. The last court houses the finest halls. 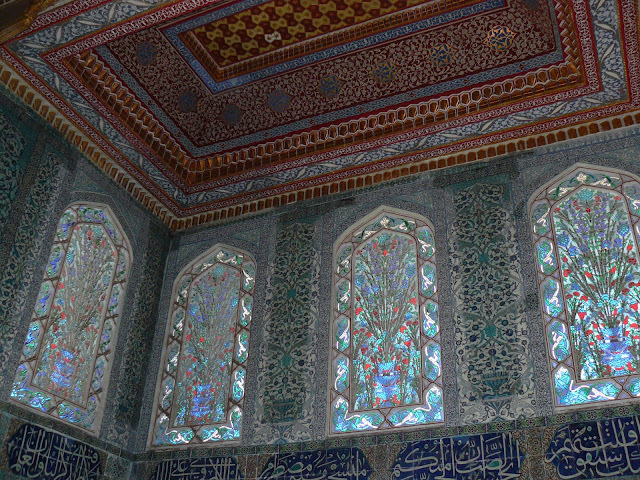 Without doubt one of the most beautiful mosques in the world, the Blue Mosque was built at the behest of Sultan Ahmet I, in front of the "rival" Hagia Sophia and takes its name from the color of the thousands of Iznik tiles that cover the walls entirely internal. 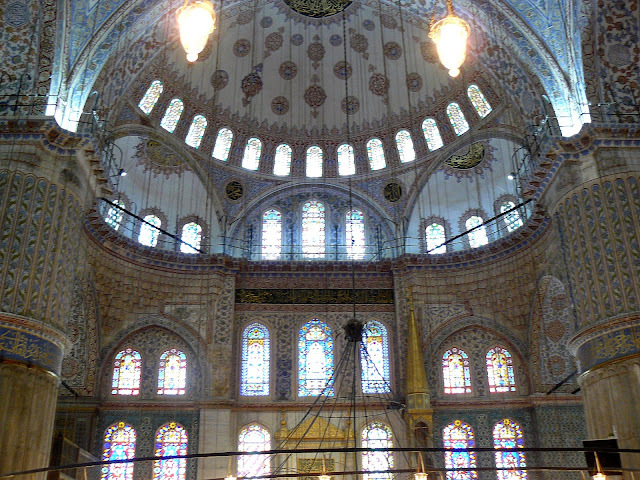 Although the admission is limited during the middle of the day it is difficult to make their way through the crowds and groups, but it is still awe in front of the refinement of the windows and the vast prayer hall, which are accessible only to Muslims . 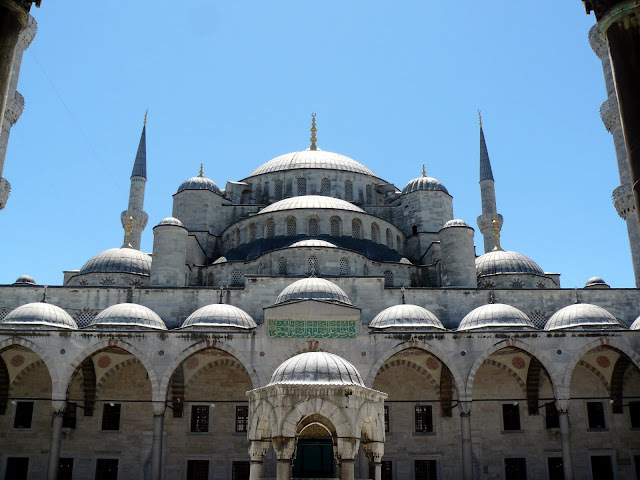 The best Glance of the Blue Mosque with its six minarets soaring, it can be seen from the Hippodrome From this side you enter the huge courtyard which is the largest of the Ottoman mosques. 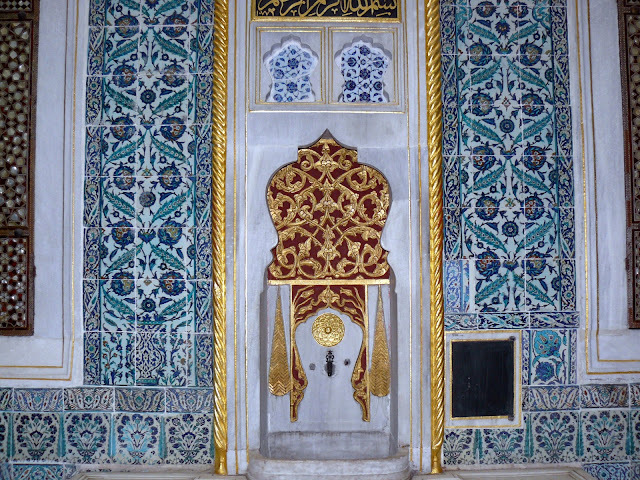 Practical Information: tram stop Sultanahmet , free admission, closed during prayer times. 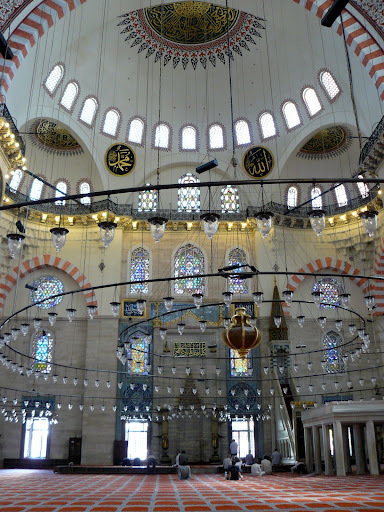 You should visit the mosque just before closing (closes at 22), when there are very few visitors, so you can better appreciate the beauty of the place. 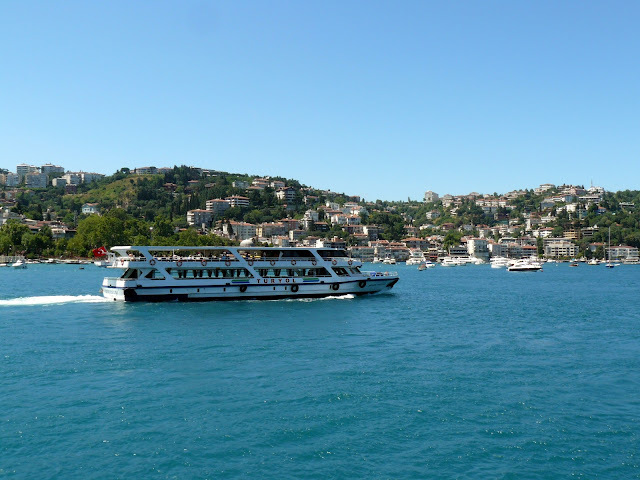 There are countless possibilities that Istanbul offers an excursion on the Bosphorus , with different prices and duration, the ferries state to private shipping companies. 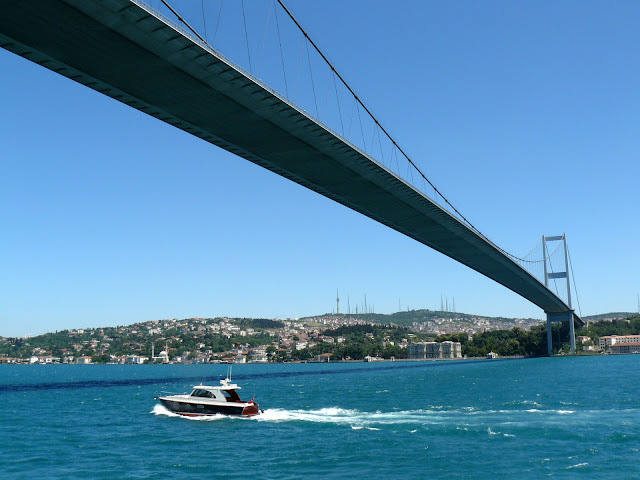 The boats are the most convenient state but force them to spend the whole day on the Bosphorus , with the possibility of stopping in various places. 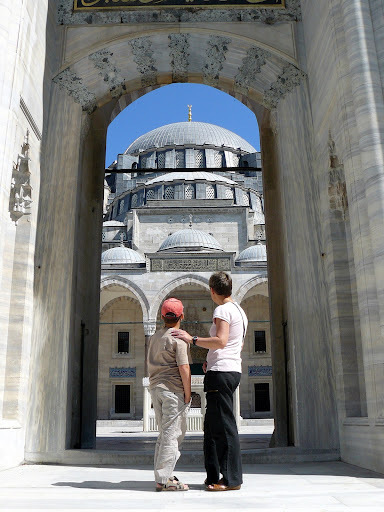 If you do not have much time and want to visit the close quickly you need to opt for a private company. 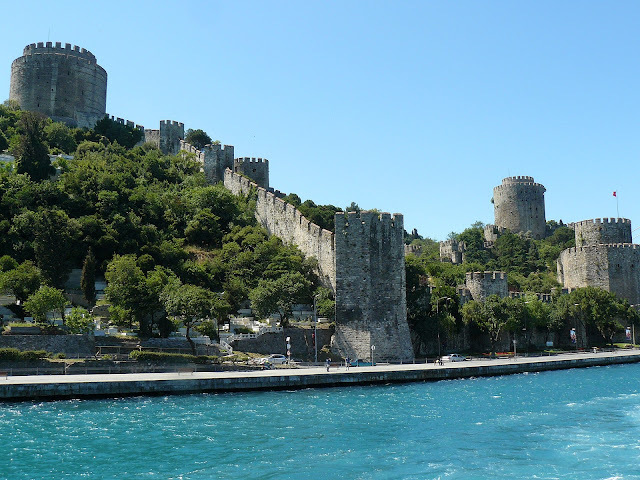 Among the latter, the cheapest I've found is the Sehir Hatlari ; offers various tour including a relatively short, lasting about two hours, starting at 14:30 in the summer, the place to see the main sights around Istanbul . 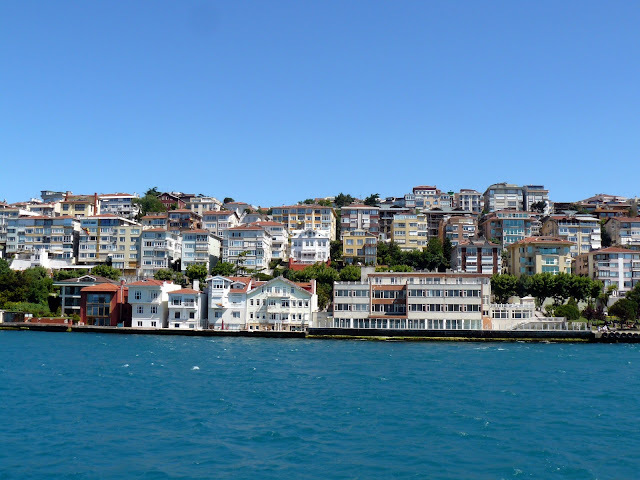 The cruise departs daily from the pier Eminonu , stop in Uskudar on the Asian side, then proceeds along the Bosphorus to the second bridge across the Straits, giving way to admire, among other things, the district of Ortakoy and Besiktas , the palace Dolmabahce , Bebek , the Fortress Europe and splendid views on the Asian side. Practical information: the cost of the cruise is 10 Turkish lira for the year 2012, but there is no need to book just turn up at the start about 15 minutes before. The nearest tram Eminonu . 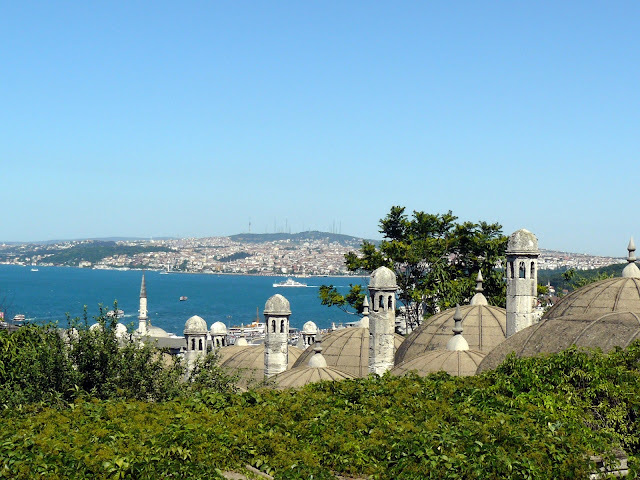 The most impressive and panoramic position between the mosques of Istanbul is situated on top of one of the seven hills of the city, with a beautiful view of the Bosphorus . 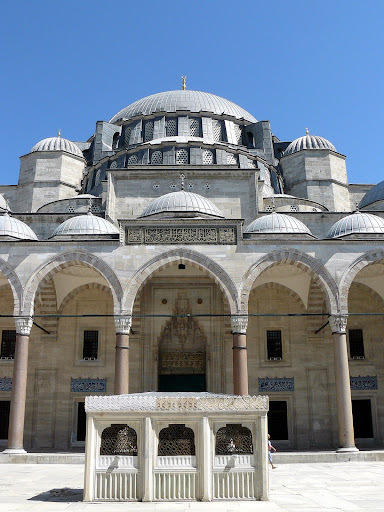 Obviously it was built by Suleiman the Magnificent who commissioned Mimar Sinan, the greatest Ottoman architect, to design the majestic building. 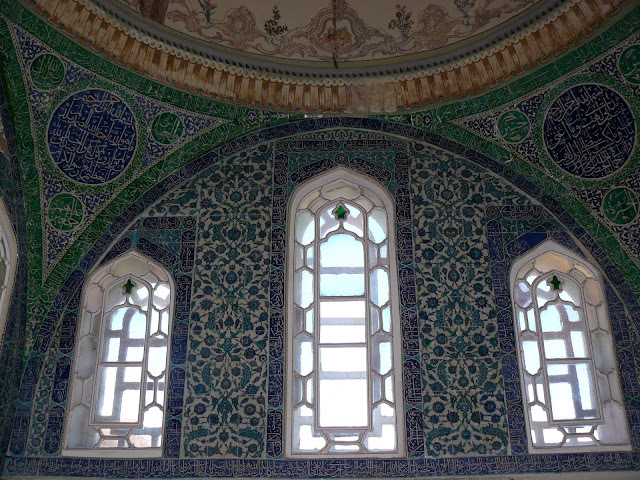 The large courtyard exudes a sense of immensity and candor while the interior, great, striking the fine mihrab and the bright windows. 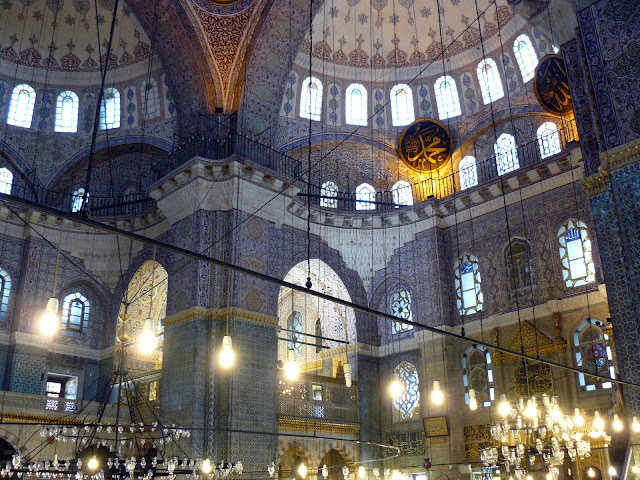 Unlike the Blue Mosque , the interior is rather bare and little decorated. 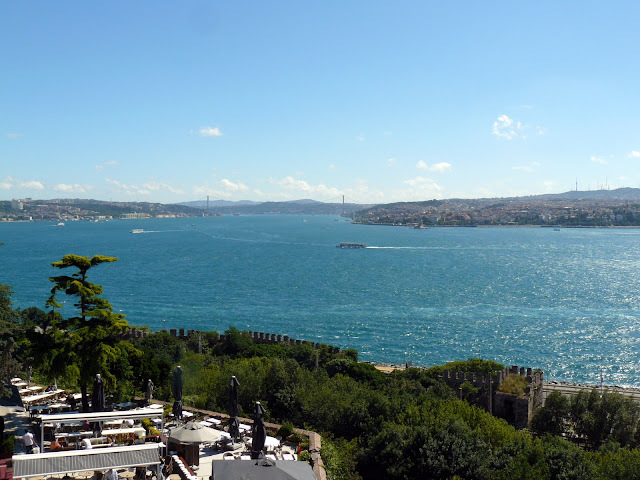 Outside there is the tomb of Suleiman (normally closed) and manicured gardens with a large terrace where you can admire a beautiful view of the Golden Horn . 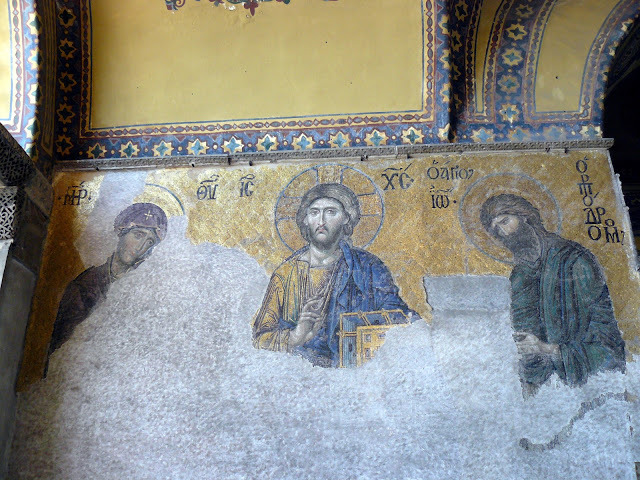 Practical Information: free admission, closed during prayer times. 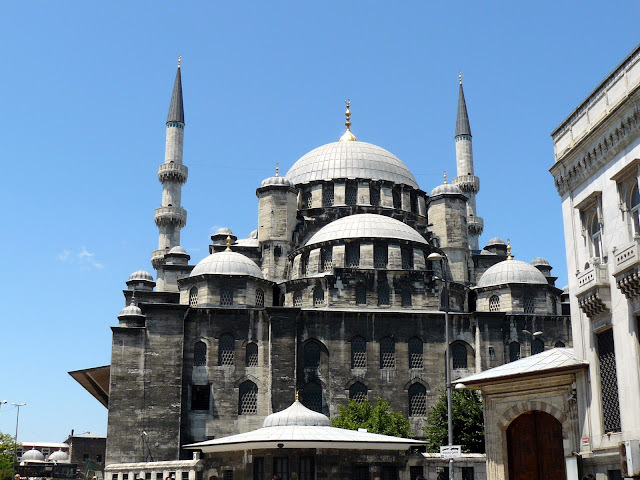 The Suleymaniye Mosque is the only attraction of Sultanahmet not be connected by tram to reach it you must climb a steep incline. 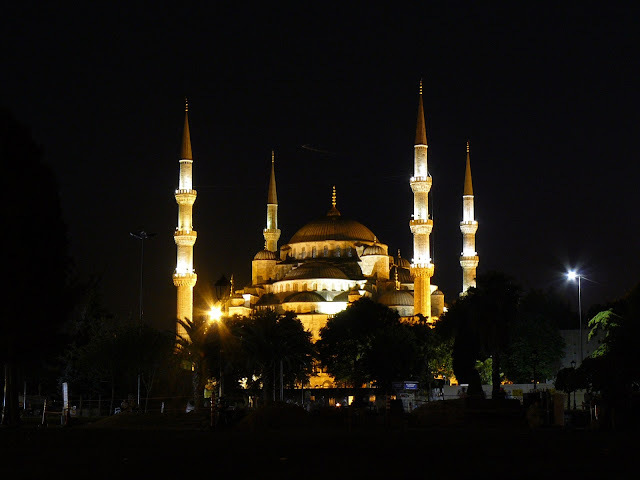 The nearest tram stations are Eminonu and Beyazit , both take about 15-20 minutes walk. Tourist trap or fascinating insight into everyday life? 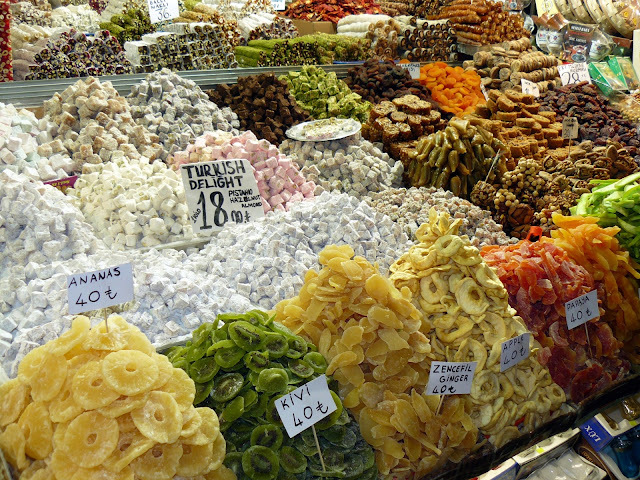 No doubt both, but a visit to the Grand Bazaar , one of the largest and oldest markets in the world, is definitely an experience not to be missed. 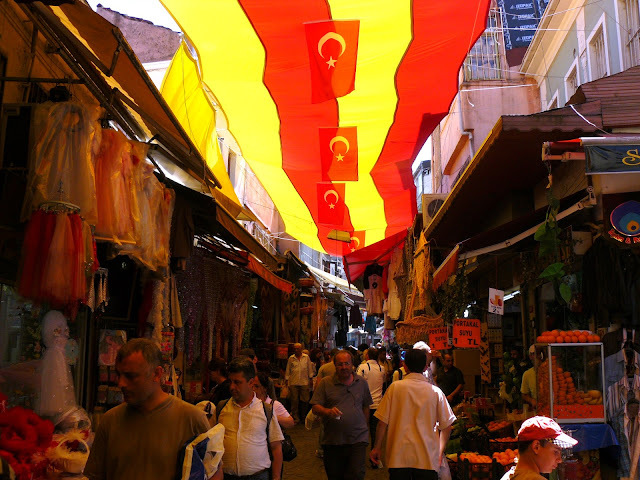 Miles of streets that form an intricate maze, full of shops, boutiques, restaurants and laboratories. 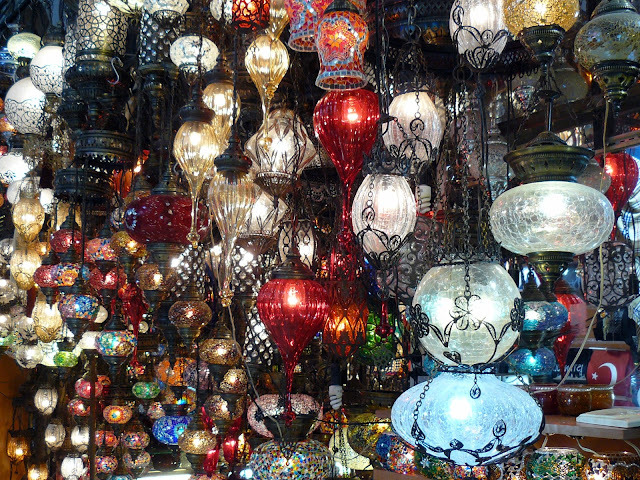 Lost in the bazaar is almost inevitable, overwhelmed by the pace, the colors, scents and confusion. 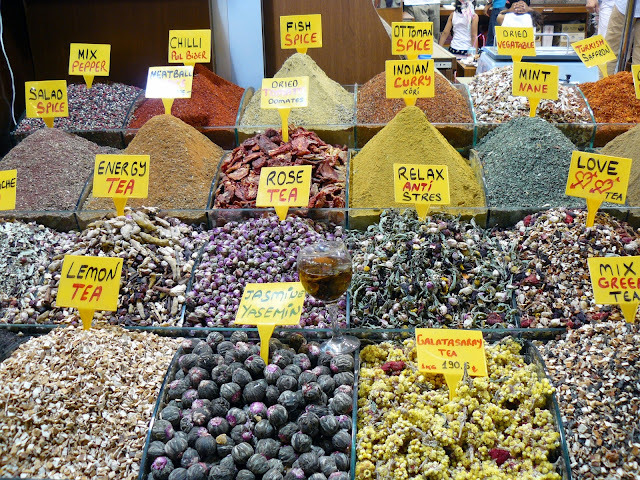 Sure, maybe not the most suitable among the places in which to shop in town, now that prices have leveled the European standard, but wander aimlessly through spices, sweets, souvenirs and workshops, it's a real pleasure. 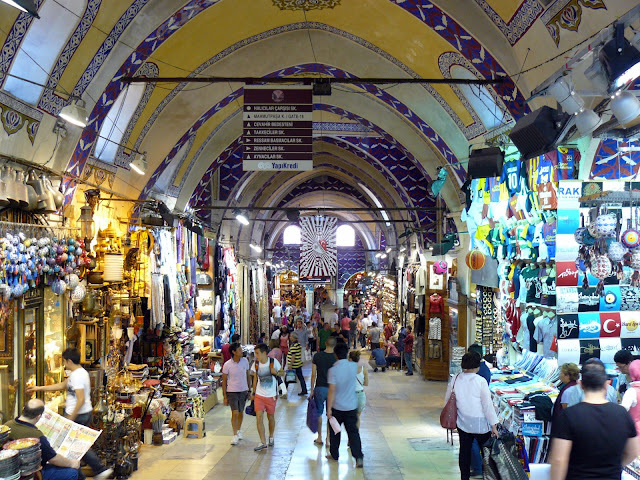 Practical information: the Grand Bazaar is open every day from 8.30 to 19.00, except Sundays. There are many points of access, easy to determine where to enter, impossible to estimate where to go out ... 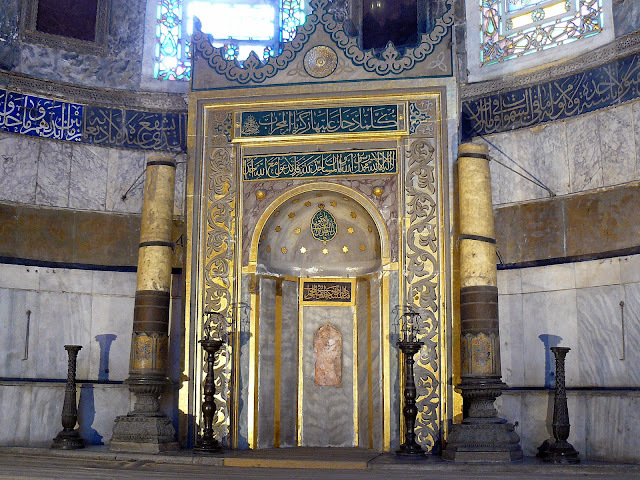 The most convenient entry is from the south, tram stop Beyazit , or you can combine a visit to the Mosque of Suleiman to that of the Bazaar , in this case, After visiting the mosque, go down to the street Fuat Pasa and enter from the west, perhaps the most authentic. Try to get away from the streets to do. 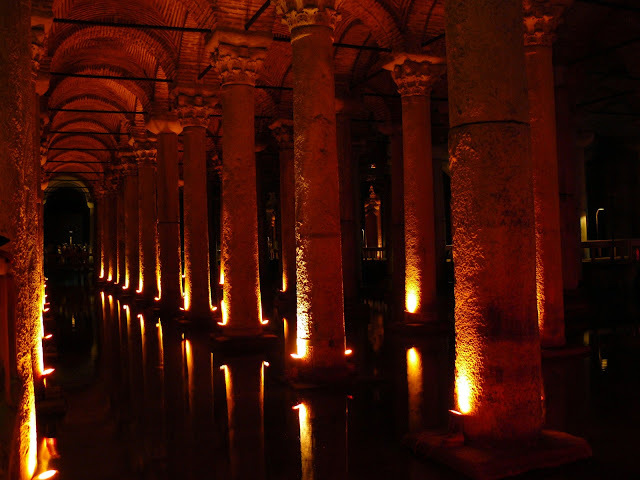 One of the most charming places of the city is the Basilica Cistern , a picturesque underground cistern built by Justinian in 532 to supply water to the Grand Palace, 143 meters long and 65 wide, composed of 336 columns emerging from the water. Thanks to the special lighting, the atmosphere of the place is truly amazing and the marble columns seem suspended in the water. The place is explored through a system of walkways that lead to two heads upside down jellyfish that act as a pedestal, Roman sculptural masterpieces. 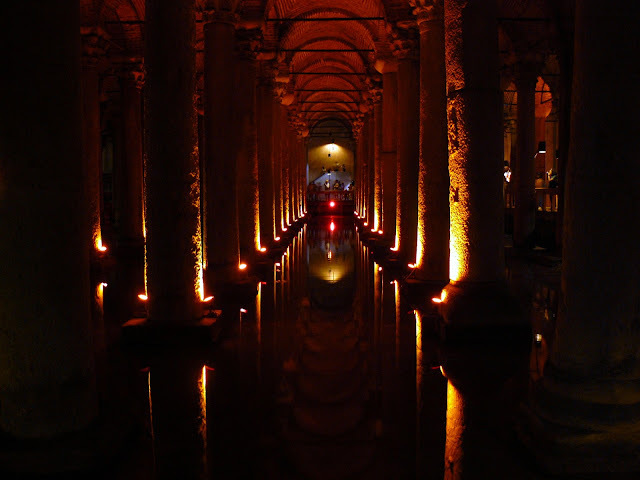 The Basilica Cistern was rivenuta by chance alone, watching the locals that drew water dipping buckets under the floor. 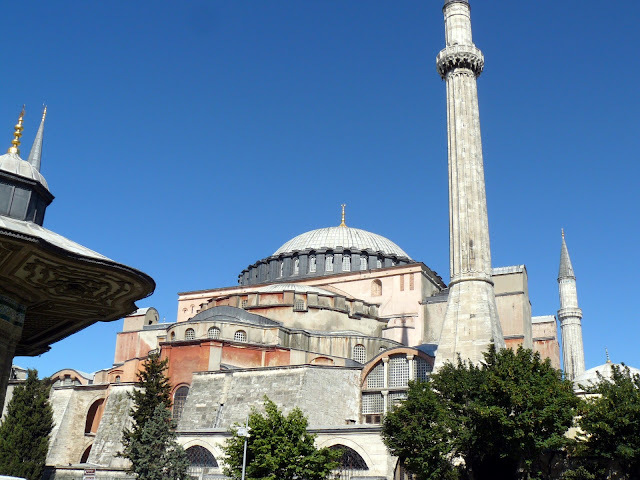 Practical Information: tram stop Sultanahmet , the Basilica Cistern is located about a hundred meters from Hagia Sophia. Hours 9:00 a.m. to 6:30 p.m.. admission 10 Turkish lira. 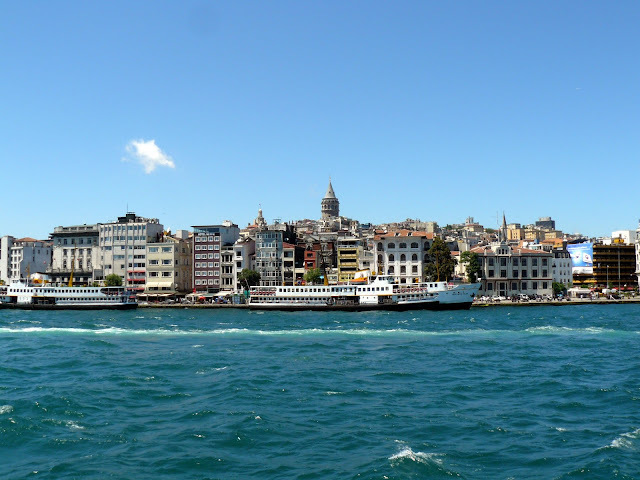 Reached the district of Eminonu you walk through the Galata Bridge , particularly beautiful at sunset, which connects the historic district with the suburb of Beyoglu . The bridge, on two levels, the ground floor is home to numerous restaurants serving seafood (declared tourist trap). 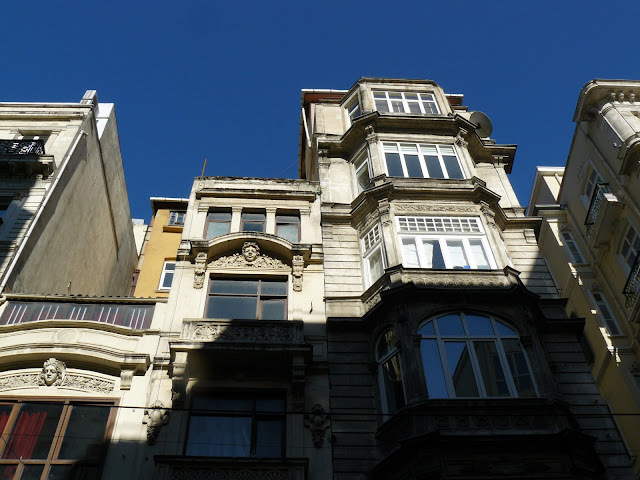 After crossing the bridge, turn left until you reach the next station of the funicular Karakoy-Beyoglu (ticket urban transport) which allows you to cover the difference up to Istiklal Caddesi. 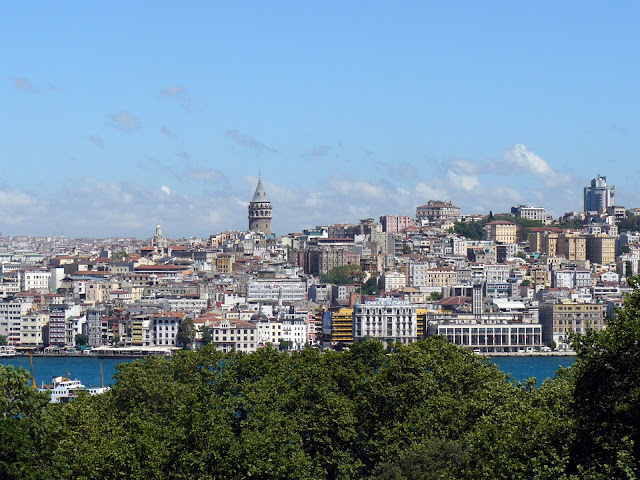 Going down a few hundred meters you can visit the Galata tower , wonderful vantage point. 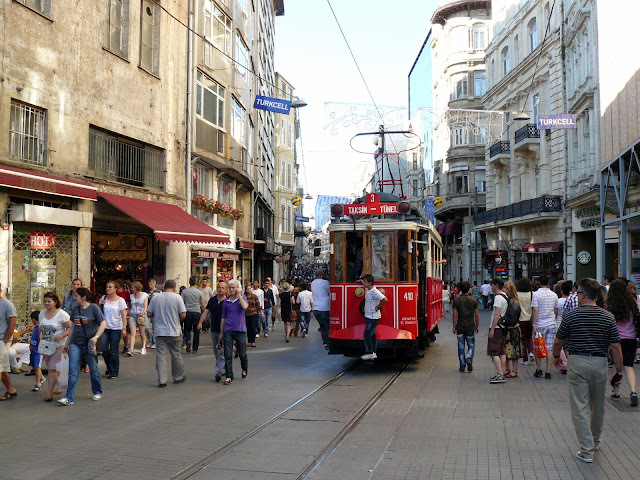 Returning to the upper station of the funicular railway proceeds along the long Istiklal Caddesi , the heart of modern Istanbul, full of shops, restaurants and malls. 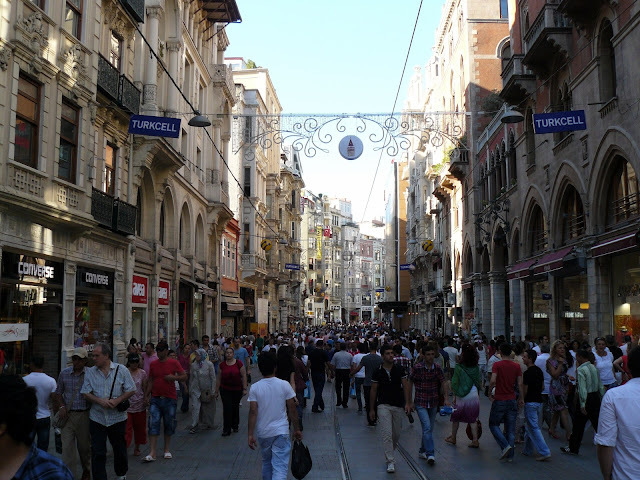 At the end of Istiklal Caddesi is Taksim Square : from here you can go down to the tram stop Kabatas on foot or by funicular Taksim-Kabatas . 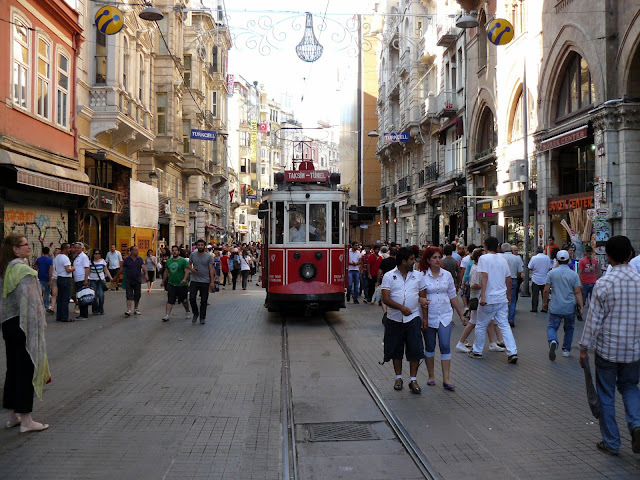 Practical Information: tram stops in Eminonu and Kabatas . The ideal is to follow the route just before sunset and stay for dinner in one of the many restaurants that are on Nevizade Sokak, the area most frequented by the local population. 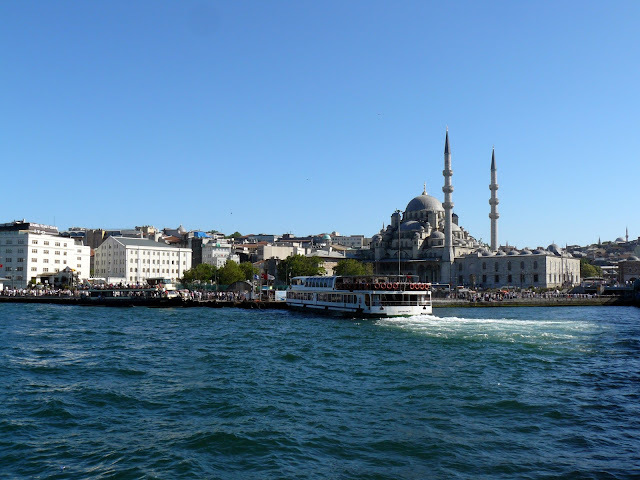 If you cross the Galata Bridge at sunset, the postcard image that appears in your eyes will be the Yeni Cami illuminated by the last rays of the sun, and behind him the whole Sultanahmet with its long history. 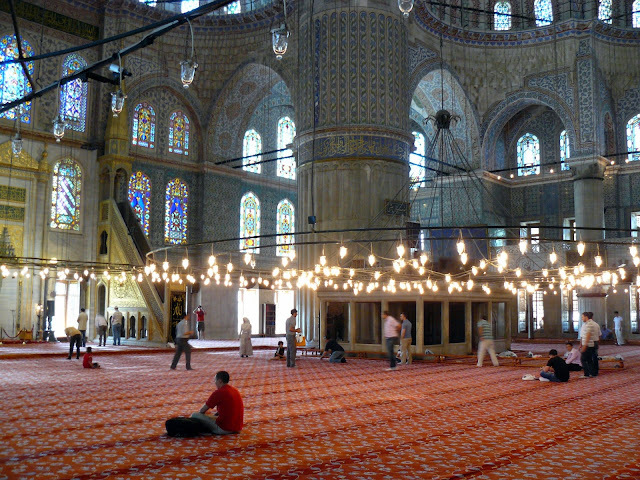 The Yeni Cami has "only" 400 years, this is called the New Mosque. Imposing and spectacular as all the religious buildings of the city, the Yeni Cami another place where you can see the beauty of the Iznik tiles of the Blue Mosque in addition to the dome gives feelings of immense from a height of 30 meters high, the walls are richly decorated with marble sculptures, the mihrab is imposing and refined while the lighting makes the rarefied atmosphere of the place. From the Loggia of the Sultan the ruler attended the function. 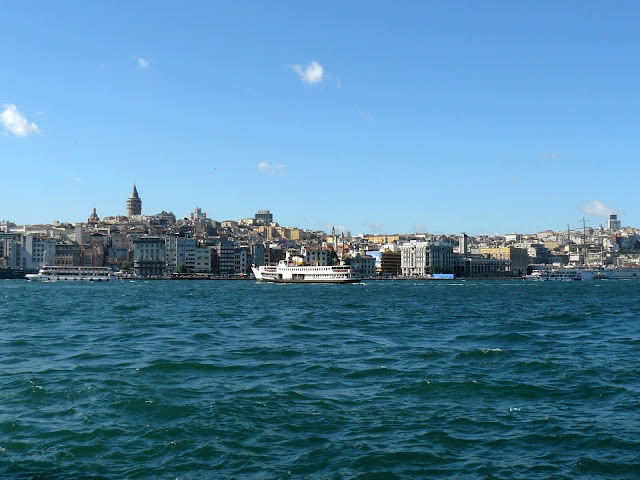 Practical information: The nearest tram Eminonu , in front of the Galata Bridge and the pier. Free entry, closed during prayer times. 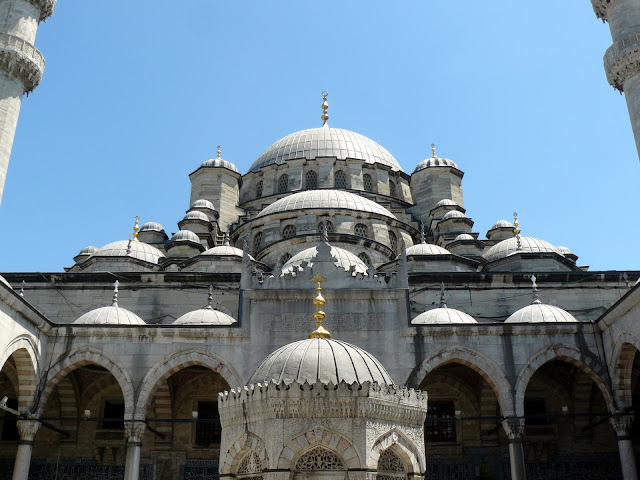 Practical Information: easy to get to and tram stop Eminonu , the bazaar is located behind the New Mosque , a building covered. 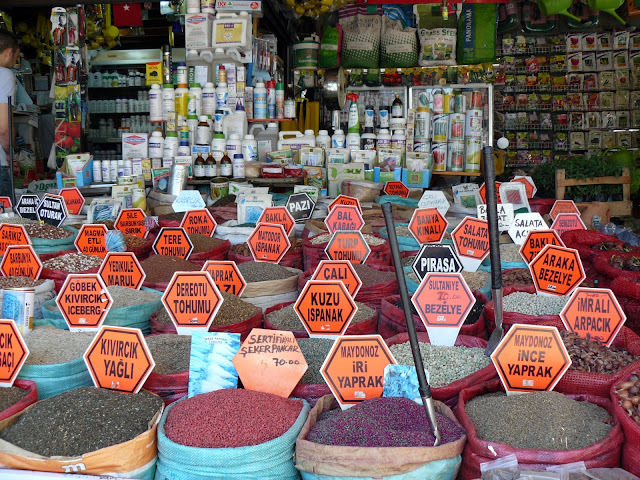 Unlike the Grand Bazaar, the Spice is open every day, including Sundays. For an evening of authentic flavors of Turkish cuisine, off the main tourist routes, the restaurant Ocakbasi Sur is one of the most popular of Istanbul , with home cooking and genuine and reasonable prices. 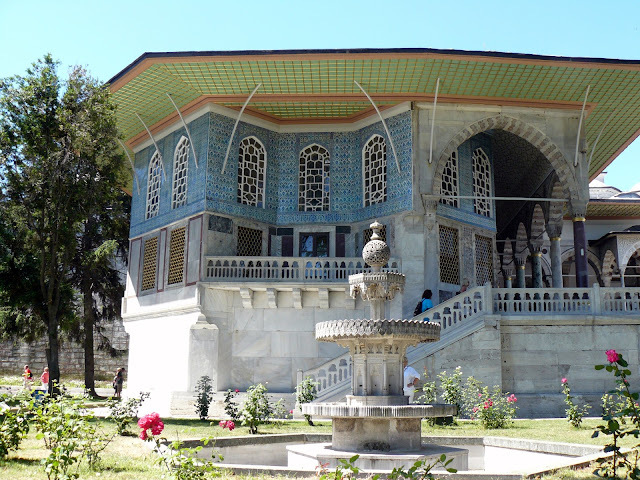 Located in the historic Fatih , near the ' Aqueduct of Valens , the menu is only in turkish but I would recommend ordering a Ozel Sur Kebabi for two people, a huge variety of grilled meat, vegetables and sauces accompanied by Arab bread and from Ayran (based drink yogurt diluted with water and salt). For dessert do not miss the Sur Tatlisi , melted cheese inside with cold ice cream and cinnamon. The Cay (tea) is free of charge. The place is often crowded and you need to wait a few minutes for a table.